The ink in the Sheaffer Fountain Pen Cartridges have been developed especially with a Sheaffer fountain pen in mind. Sheaffer cartridges fit ONLY in Sheaffer fountain pens. Confirm the shape (shoulder on end to be inserted and edge on the other end) and the length. One box contains five of the same color cartridges. Black, blue, blue/black, brown, green, orange, pink, purple, red or turquoise ink cartridges available. 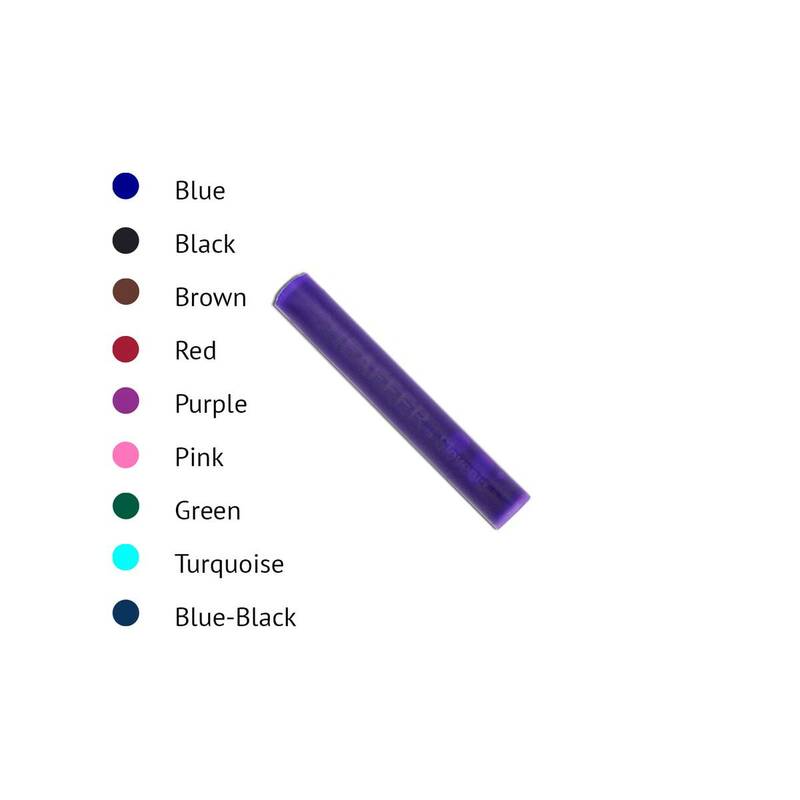 Unsure of the color you favor, try the multi-color five pack which contains one cartridge in black, blue, red, green and purple.